We’d love your help. Let us know what’s wrong with this preview of The Emerging Writer by Sam Ryan. Writing doesn’t just happen – it needs nurturing, stimulation and space to grow. The Emerging Writer is an insider’s guide to the craft, philosophy and politics of being a writer. Whether you’re facing your first blank page or negotiating a publishing contract, this book is full of indispensable advice for any emerging writer hoping to turn their seedling of an idea into a Writing doesn’t just happen – it needs nurturing, stimulation and space to grow. 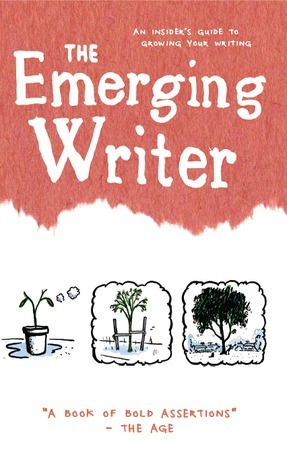 The Emerging Writer is an insider’s guide to the craft, philosophy and politics of being a writer. Whether you’re facing your first blank page or negotiating a publishing contract, this book is full of indispensable advice for any emerging writer hoping to turn their seedling of an idea into a mighty tree. To ask other readers questions about The Emerging Writer, please sign up. I was so thrilled to have my article ("Writing Trash, Writing Tech, Writing my Novel") included in this collection.